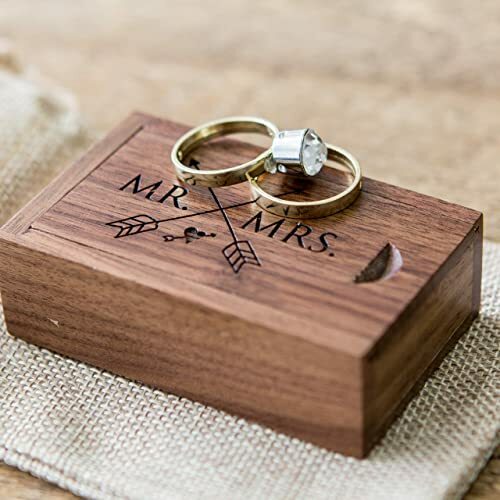 Talking about wedding rings photography, beginning photographers looking for outstanding ideas to surprise a couple with original wedding ring pictures. In order to take cool wedding ring shots, I’ve gathered some photography ideas and tips from professional shooters. 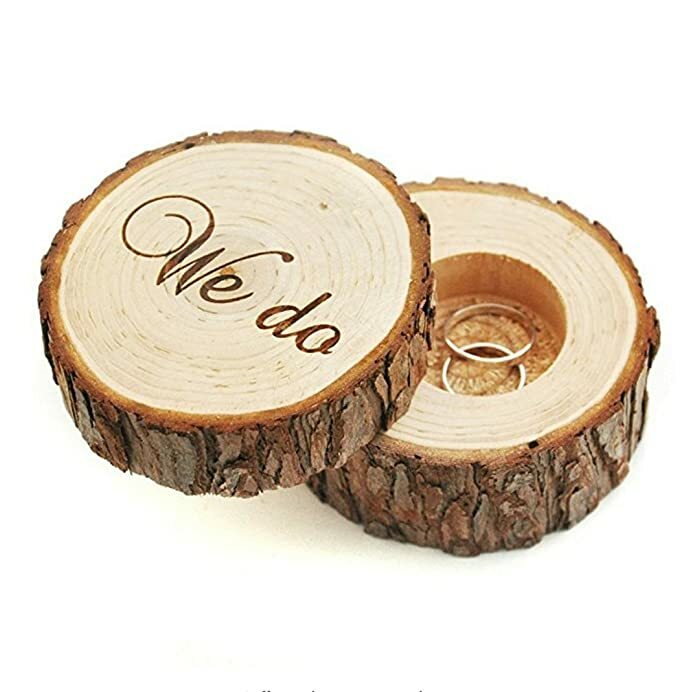 Each couple wants to get creative pictures of their rings. It can be random photos during the engagement ceremony, as well as posed images. In the last case, a photographer is focused on the rings, while the background and composition are perfectly arranged. A brilliant Bokeh circle makes wedding ring photos so fairytale and romantic! I find this background the best choice for wedding macro photography. At f/3.5, the bokeh turned out perfectly round, but looked more like an octagonal bokeh at f/11. If you really want to get really creative, go for big bokeh, those soft round blurred shapes in the background. If you failed to do bokeh while shooting, apply Bokeh Photoshop overlays while photo retouching. No one will be surprised with a traditional white wedding dress. This is a classic variant according to any wedding photography tutorial. Nevertheless, this is a memorable photo that helps reproduce the entire festive look. A ring and a fashionable wedding dress are the most important things at the event and look harmoniously together. The shooting location or the time of year is quite important for a wedding day. So, why not to relate pictures of wedding bands with them? You can take a picture on the place where you celebrate the event and relate some environmental elements. It can be autumn leaves, summer flowers, and even beach sand. It’s a nice idea to take wedding rings photographs with the symbol of the place where the newlyweds met, or the place of their engagement. All these details are easy to find in your surroundings. For example, a simple dark stone or wood emphasizes the durability of the rings, while tender fresh flowers will make them very beautiful. The choice of the wedding date is an important question for most loving couples, so they are superstitious about it. 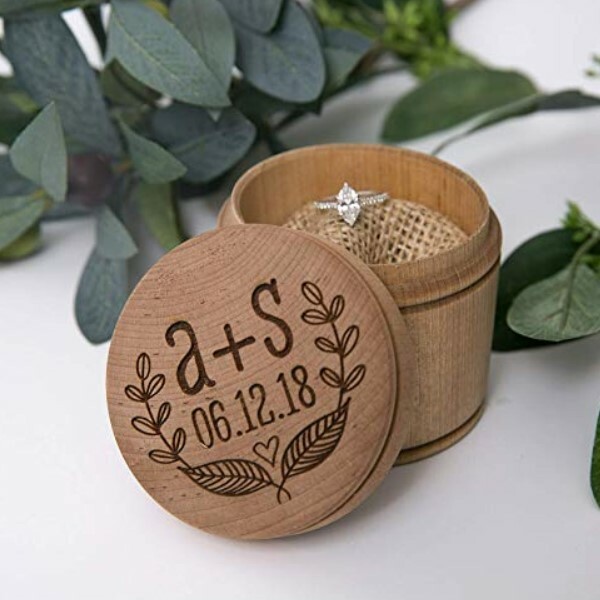 You can take creative wedding ring photos on the background of a greeting card or an invitation that reminds of the date, or use the calendar, daily newspaper, or any props, which mark a significant day. Talk with the newlyweds and choose the desired format. Prepare all the necessary props in advance. Remember to take a picture of the rings on the beautiful bouquet. You can also use the flowers as a wedding ring background. Although many wedding ring photographers consider this photo banal or too common, the newlyweds take a lot of efforts to choose the bouquet for the bride. Therefore, they may be surprised if you neglect such a picture. Many brides love flowers and think that they symbolize their love. After all, it’s an essential part of the dating period, which results in the engagement. Having played with the different angles, you can get excellent photos of the ring in the flower, and be satisfied with the result. This moment happens at every wedding (during a wedding ceremony, marriage service, and even engagement). Photographers need to have time to work quickly and efficiently. So, the photo looks like it’s not posed. However, such wedding ring shots are full of emotions and very important for all newlyweds. It’s better not to shoot the faces, but to make close-up pictures while they are trying the rings. Thus, you will focus on the most important detail while emotions may be captured later. Send your wedding photos to FixThePhoto and receive professional wedding photo retouching. We offer deep color correction, high end portrait retouching, creative photo manipulation from $5 per photo. Each bride chooses fabulous shoes for her special day. You can emphasize the elegance of the stylish footwear, putting a ring on the heel and capture this brilliant moment. Thus, you can take creative wedding ring shots. Only discuss this process with the bride in advance because she may not like such an extraordinary photo. Take ring photos on a beautifully decorated wedding cake. If you are afraid to spoil the cake, you can take wedding cakes photography and a ring photo separately to make a collage like on the example above. Don’t forget about the glasses of champagne. Place the rings in the glasses, and it will sparkle with a wedding mood. You can also use a bottle of the wedding drink or even an ordinary cork. The bottle will have a glass effect, and you can play with the rings reflection, while the cork will emphasize the elegance of the rings. Take creative wedding ring shots using a simple background to attract all the attention to the rings. Take some close-ups, placing them on a glass surface. Most photographers use black smooth background. It helps to focus on the main attribute. Don’t forget to play with the reflection for a complete picture. One of the best wedding ring picture ideas is to place your rings on your family logo background. If you don’t have such a thing, use last name stand or any suitable symbol. Talk with the newlyweds, so they will prepare something in advance. If there is no such a symbol, you can do it yourself, using their initials as a background decoration. Place two hands and two rings in the frame. This image of engagement ring photos on hands symbolizes the family harmony. This is a common photo, but nothing will show so much love and support. Having taken close-up pictures of beautiful hands with rings, do not forget to draw attention to the wedding bracelet and manicure of the bride. Think about how to take a photo through a ring? This photo does not belong to the traditional ones. It doesn’t suit every couple and only some people really like it. But there is something special about it. The ring in this photo is a symbol of the family future. And also, this is a great idea for a romantic wedding kiss. For such a picture you can use a natural background or a summer landscape. Each couple dreams of an unforgettable photo shoot of their long-awaited wedding. Very often they are confident that their photos will be excellent, and when they get the result, they understand that many pictures should be retaken (change the setting or replace the background and props). Someone wants to show masculinity and support, while other need femininity and affection. Photographers should remember about these nuances. Of course, some details can be replaced in the image post processing but it is better to discuss in advance all the details of the photos and the setting. Each loving couple has its "uniqueness", which is somehow reflected in the wedding rings. Some like inscriptions on the rings, others have huge gems, and there are people, who opt for simplicity and durability, choosing them the most common jewels. For each rings type, you need to arrange the photo and think over several variants. A wedding is a long-awaited event that passes very quickly. That’s why the newlyweds want to have practically all the moments of their Big Day captured. You need different lenses or camera settings to take a spotless wedding ring shot. It is obvious that engagement hands images and rings close-ups require lenses with different characteristics. Experienced photographers know that you will never make a masterpiece if you don’t use manual setup because autofocus is intended only for ordinary photos. Therefore, you should adjust your camera, experimenting with several pictures and don’t forget to reduce the aperture for more detailed shots. Unfortunately, it is not always possible to quickly adjust your camera to get a beautiful picture or change the lens timely. That’s why you shouldn’t take all the responsibility yourself. It’s a good idea to take an assistant with you and share the photos, so you can concentrate on the little things and your partner can photograph the process. If your clients can’t afford to pay the second photographer, it will be much more convenient to prepare two cameras adjusted differently for diverse purposes. A macro lens suits perfectly if you intend to take wedding bands photos. It allows you to choose the right scale and capture all the details without resolution loss. Switching between large and small photos will take a lot of time and you won’t be able to capture all the moments. In this case, it is better to take two lenses with you for different needs. If you use Canon camera, you’ll need 100mm f2.8L macro EF 100mm f2.8 IS. But if you prefer Nikon camera, then a micro 55 mm (or 60 mm) f2.8 is the best choice for photographing rings. Due to the small size of the lenses, you will be comfortable to carry them around, even if you don’t need them. The macro lenses are usually used for such shooting. View more to find the best lens for wedding photography. The advice may seem useless for beginners, but professionals need to understand that lighting plays a central role in good wedding bands photography. Due to the small size of the rings, LED flashlights, or other light sources will be perfect. The main thing is to choose the right background and check how the light will affect your shot. Properly selected light will help you get brilliant wedding band photos. You may also add several small lamps to get a beautiful effect. Water is the symbol of alpha, and the rings are the beginning of a new life and love. What can you get combining them? These wedding ring shots aren’t considered traditional. They require a special approach and creativity, and they also need appropriate preparation. Think about the water source, extra light or LED lights in advance. For more detailed shooting you need a macro lens. If you have any gems, other jewelry, or even foil, then you can make wedding photography really breath-taking. Use Christmas lights or their alternatives. The main thing is to focus on the rings and make the background blurry. Having studied recommendations about lenses and an assistant, you can easily take the pictures in motion. The final result of the photo can be achieved in Photoshop. Though this software is very powerful, it can’t fix all the defects, which appear at the photo session. So take your time to prepare everything properly. If you like to trust your business to a professional or see new wedding photography ideas of experienced shooters, you can examine this list of top wedding ring photographers from all around the world. She chooses an individual style for each wedding and prefers to focus on the gems and emphasize the cost of the rings. She believes that the macro lens is the best lens for wedding ring shots, as it allows to capture all the details. If you are looking for a collection of unique shots, then this photographer is perfect for you. You will find inspiration looking through Julien’s works and will create your own masterpiece. One of the top 30 best photographers in Asia, who works in a professional team. He tries to make photographing rings process a special art. His best pictures are based on the reflection of wedding rings. Using the contrast of a dark background and lights, he gives the rings an extraordinary brilliance and elegance. If you are ready for something unusual and are determined to work on your photo for a few hours, then you can find a couple of ideas on this photographer’s website. She works in the team of experienced photographers in Italy. They know how to photograph rings and make each wedding photo look unique and symbolic. She loves creating pictures with a lot of details, where the rings are used as a part of a harmonious composition. Take a look at this extraordinary example of wedding ring photographs. This extraordinary and mysterious woman is also an excellent photographer from Germany. She loves thinking about posing a photo together with the newlyweds long before the wedding. She also believes that pictures of engagement rings on hands are an important imprint of this day. She likes to use various objects as a background. That gives her works a particular style. Look at Judith's artwork to learn more about engagement ring photography. David Bacher is a French photographer from the USA who has great taste and loves his work. He is usually engaged in wedding photography in Paris, but also travels to photograph such events anywhere in the world. He prefers classic photography style, with the most standard attributes. You can visit his website and learn how to take a good ring photo. «It is my job to capture all of the precious moments that couples will look back on and share with friends and family for years to come» - David Bacher.